Corinne Kerston ~ The blogger to connect with this week! →Corinne Kerston ~ The blogger to connect with this week! Corinne got into blogging in an unconventional way. Pregnant with her second child, she knew she wanted to leave her job in finance and stay home with her children. But she had no idea how or what to do. She started looking into work at home options, like transcription. By luck, she met a freelance writer on a parenting forum, and she had what she calls her “aha!” moment. Corinne had always loved writing, she grew up writing stories and poems for fun (yes, she was that kind of kid). She also earned her Bachelor’s degree in English, though somehow ended up in finance. Freelance writing was a perfect solution! Corinne started her writing career like many others back then, on content mills. The money was slow, but it was coming in. She wrote on just about anything, not really finding a niche. For next few years, Corinne floundered. She started (and failed at) a couple of other niche blogs that never really got off the ground. Throughout it all, she did freelance blog work, but her passion was in blogging. She wanted what others had. She tried to follow the advice of successful bloggers and took the online courses, trying to recreate the success others had. After years (5 years in total!) of struggling, seeing low traffic and making little to no money with her blog, Corinne grew tired of wasting time and money. She grew fed up with not being about to figure out how to make it in the online world. 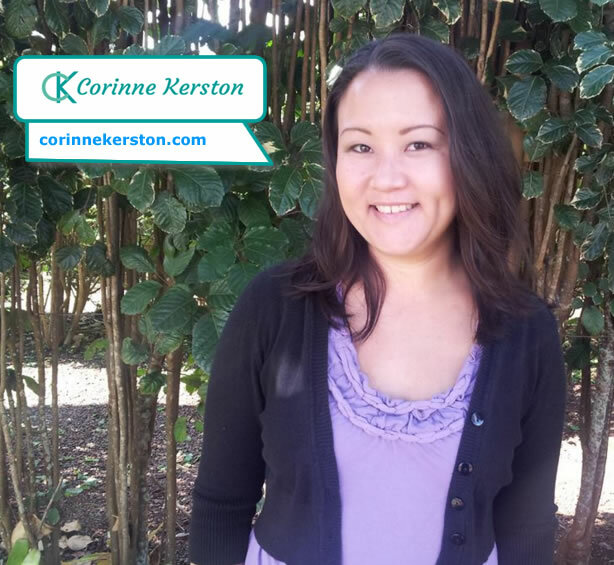 In late 2015, Corinne started focusing on methods that work for her. Things that she was comfortable doing and marketing tactics that she enjoyed. She focused on relationships. She realized that the best jobs and opportunities she had been getting had all come from meeting people online. She started commenting more and doing expert roundup posts like this one. But even more important, Corinne realized that connecting was something she enjoyed. And it was something that worked! Through building relationships and blogger outreach, Corinne connected with well-known bloggers like Sue Anne Dunlevie, Adrienne Smith, etc. Blogging friends who are always ready to return a comment or even share a post. Through tons of trial and error, Corinne managed to find tactics for growing her blog that worked for her. And she learned a lot along the way. ​This year, Corinne is focusing on continuing to grow her blog, but also on helping others find their freedom from all that trial and error. Her goal is to help others get over the frustration of not knowing what to do, and help them find their own best strategies for growth. She will be announcing the launch of the beta run for the course soon, at a very discounted rate. Get the details here. Not keen on courses and want something truly customized to you and your blog? She also offers one-on-one consulting. Get a free 30-minute discovery call to see if she’s right for your needs by going here. Connect with Corinne on Twitter or Facebook, or leave her a comment here! It is interesting story of a mother who she step in blogging,which circumstances bounded her to join blogging community. She is very hard work and devoted woman.Her life will encourage many housewife to start blogging. Thanks to share her life story with us. I think you are the right inspiration for blogging newbies like me who haven’t found a foothold in the blogging arena yet. Seeing you on Enstine’s blog, it’s just awesome. Your story is really an inspiration for the new bloggers. It’s great to meet you and you have a very interesting story, You went from being an English grad, to finance to blogging. I called that the Law of Attraction. You came back to what you really was passion about all along. Your story will definitely inspire others. I’m going to check out one of your posts right now! It was a pleasure to meet you Corinne! that can help others. Happy to see you here on Enstine’s blog . A very informative post, thanks for sharing. So many people think that blogging is to do with SEO but as Corinne proves, the success of blogging comes from good relationship building. Thanks for sharing. Thanks for reading! To be honest, I don’t even think about SEO anymore. When I first started online, keywords where they THING and you had to get them right. Now…not so much. Plus, I’ve always enjoyed the connecting aspect much more than analyzing KWs. So win win! Nice to meet a new blogger from here. I supported her what she do. Hope we will connect each other. This is my first time hearing of Madam Corrinne but reading about her journey and how far she has come is really motivating . Failure is indeed inevitable when it comes to any startup and blogging is of course no exception. I will of course be visiting her blog. You make a great point here, failure IS most often a part of business. I think that many people still don’t look at blogging as business and don’t realize how scary it can be. I’ve so enjoyed watching your growth from afar, Corinne. Ya know what I like about your blog and brand? It’s clear. It’s simple. No confusion, no chaos, no fillers, no excess. From your blog design, to your business model, I know exactly who you are, what you offer and how it benefits me. I also know your story. Which is probably your strongest selling point. I too went thru lean years. Felt like eons. NOT telling my story hurt me, my blog and biz. Folks buy in to humans, and all humans fail, before succeeding, so folks needed to hear my story before I could increase my visibility. Thanks for the inspiring share guys. Signing off from somewhat sunny NJ. Truth is, I don’t aspire to pretend it’s easy or that I magically figured it out overnight. Cause it was so far from that! And pretending I have my stuff together just isn’t me. Plus, I figure there’s got to be others out there that feel the same way. Maybe not 5 damn years to figure things out, but still. Nice to meet here 🙂 Hope you are doing great. Your journey is just amazing. There are lot many things, which one can learned from you. Such an inspiration you are. It is great to know how you succeeded about your passion and grow your own online business. Thank you, Enstine and Hello Corinne. It is nice to meet you. Your story is very inspiring; showing that if you are determined and do not let set backs stop you, there is success in the future. Thank you, your comment made my day. To anyone out there who hasn’t quite gotten it yet, I sure hope they find inspiration in this. If I can do it, anyone can! Firstly thanks once again, Enstine, for introducing another top notch blogger to your audience. Afte reading your story, Corinne, I can see some parallels with my journey – a failing blogger for many years (I think it was six), and then finally having a lightbulb moment. Connecting with other bloggers is such a powerful idea. All bloggers should embrace it , just as you have done (for me the bedrock is blog commenting). I am looking forward to connecting with you and following your story through your blog. I know you’ve accomplished a lot online, but I have to say, it’s kind of comforting to know I’m not the only who struggled for years. But I shared this story knowing that if I struggled to figure out it, there’s no way I’m the only one, you know? Thanks so much for reading my story. Here’s wishing you a restful weekend! Great to connect with you here on Enstine’s blog. It sounds like freelance writing was made for you. I certainly can’t say I was writing poems as a child! You didn’t have an easy start, though! Your story is very inspiring and it just shows that you can succeed if you just stick with it long enough. It seems that for you, it was mostly a mindset shift? When you become a freelance writer you become a business owner and there are tons of things that come with it. It’s hard to see through the chaos of learning and taking action and taking a step back to focus on what really works. 5 years is quite a long time but you had some success along the way. You just didn’t really find your groove yet. In the end, it wasn’t wasted time. You take all that experience from the courses, the actions that worked and didn’t work for you and made the right choices from there. Like you, I also realized the unbelievable (almost magical) power of creating connections. Even though I’m an introvert, I really do enjoy connecting with bloggers. Not only has it provided me with many amazing friends, they also support me and opened new doors for me! I subscribed to your list, so I’m sure we’ll get to connect more soon. Thank you for sharing your story with us today, Corinne. Enstine, I love these featured Thursdays. Keep them coming! Yes! Someone else who thinks caffeine is a hobby! Love it! I was kind of a nerdy kid. Not super into school, but I was that kid who absolutely loved getting books for Christmas. My sisters always made fun of me. I agree, it may very well be a mind shift thing. I spent way too much time not realizing that what I started doing was what I really, really loved, you know? Thanks so much for reading! Hope you have a killer weekend! I see you found another fabulous blogger to introduce to your community and if they haven’t had a chance to meet Corinne yet at least they’re learning a little more about her here. Thank you Corinne for the mention by the way, it was so nice to meet you too. You are proof that relationships work and can take you far. It’s who you know when you’re trying to build a business and I’m so glad that although you were super frustrated not getting anywhere previously that you hung in there. I know that happens for so many people but I think we all just have to find our own place in the online world. I’m SO happy you found yours. Thanks Enstine for sharing Corinne with us and you both be sure to enjoy the rest of your week. Thanks for reading! You’re one of my favorite blogger friends who does blogger outreach and connecting right! You’re always there to share and engage, and I love that about you. I love when a blogger can share a good story. This one is so wonderful Corinne. So many come into blogging and then leave. Not you…You hung in there, turned things around and found your way. What a wonderful inspiration to all bloggers! Your free 12 month planner is an amazing idea. Something every blogger needs in order to move forward. Why thank you so much Donna! I’ve dabbled in other niches and failed, but honestly, all this experience has helped me learn what I really love to do. I just wish it hadn’t taken to long lol. Thank you for Donna. I appreciate it! Nice meeting you here at Enstine. Your story is amazing – one that so many bloggers can identify with. I totally agree that what works for one don’t necessarily work for the other person. It’s good to take advice from others of what made them successful but at the end of the day each one have to find their own ‘aha’ moment and what will work for them. Glad to hear that you found yours. It’s wonderful to meet you too Yvonne! What a story and you are just an inspiration. Being able to face these blogging challenges and overcome them is one of the thing that makes blogging fun. Good to know that you are among the 5% of bloggers that make their blog a success. Nice to meet you. Thanks for sharing your story. Take care and have a wonderful week. I read your article and thank you for sharing a lovely story of Corinne Kerston, I really like her,This story I will share my friends.Thank you so much for sharing online. Thanks! Sometimes it just takes awhile to get there lol. But I’m thankful for all the bloggers I’ve met along the way, including you and Cori.